Cassettes There are 79 products. 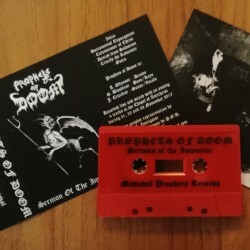 Canadian import from TOUR-DE-GARDE https://paganhellfire.bandcamp.com/album/distant-winds-return Professionally duplicated tape. Black cassette shell with white imprint on one side. Professionally printed, double-sided, 5-panel foldout J-card. https://www.youtube.com/watch?v=QiAhWzdNJMU - MC on pro-printed, high quality cassettes, limited to 300 handnumbered copies. 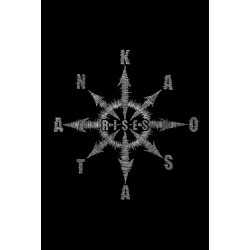 US-import from Darkness Attack Deluxe cassette re-issue of the sold out release from the Japanese tyrants of grinding insanity.. features unreleased bonus collaboration track with SCATMOTHER , otherwise tracklist is identical to the LP version.. includes slipcase. https://sytheblackmetal.bandcamp.com/album/contortia New Dutch entity: debut demo. First edition of 100 pro-tapes. As the debut demo of DIKASTERION sold out pretty fast, we decided to do another press of 200 copies. This time with golden print on black tapes; while the layout is equally stunning and the music equally great as the first press. 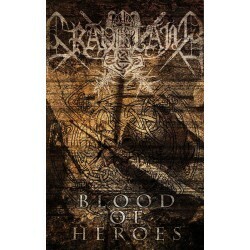 If you were lucky enough to obtain a ticket you can see them play live at the Brussels Black Metal Bonanza. https://soundcloud.com/signalrex/zwarte-dood-bel-het-naamloze-pad-2018 Slipcased tape limited to 100 copies. https://www.youtube.com/watch?v=9UMHdvMVCqc European edition on Mdieval Prophecy prod. Limited to 150 pro-tapes. 1 copy per custom Available 8/8/18 at 08:08 - Listen here! Limited to 88 copies - dedicated to the owner. All copies have been ritually consecrated with human blood, human ashes and by cemetery-burial. Chaos Magickal Audio! https://oppressivemelancholy.bandcamp.com/album/ascend-to-nothingness Pro demo tape, limited to 100 copies. 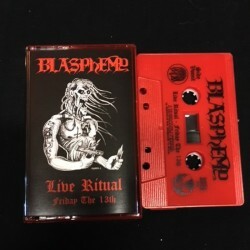 Killer, professional live recording at the 2017 Doomsday Celebration festival.Limited to 200 handnumbered tapes including black slipcase with silver print.